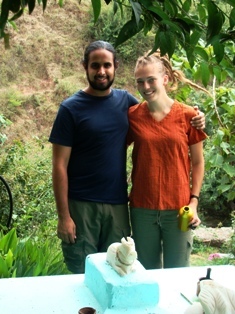 Meditation, Tibetan Massage,Yoga, Ayurveda,Neo-Buddhism,Dharamsala, Dharamshala, India,Yoga Centers,Dalai Lama Teachings ! Namaste Buddha..The Art of Meditation in Dharamsala India ! History of The Enlightened Mind.. The history of the sublime Mind in absolute concentration is thousands of years old in India. Dating back 5000 years, Indian artifacts have displayed this practise in the form of 'Tantras'. Researchers say the first science of the 'conscious mind' in deep trance..comes from the hunters or the cavemen gazing into the fire while protecting themselves from the wild ! 7000 years ago, in the remoteness of the High Himalayas in India, the Maha- Yogi -'Shiva', communed with all that was divine in the Universe by reaching an Enlightened and Tranquil state of Mind, with complete abstention from the Earthly Mortal World ! 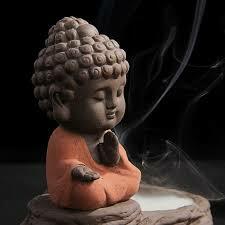 One of the most prominent Icons in the history of Meditation is that of 'Buddha', The Enlightened One ! The MIND..a life-style balance ! The Human mind is as restless as the Wind but through Meditation, when tamed and under control it is the most powerful force in the whole Universe. He who has mastered His own mind is indeed, 'Master of all the three Worlds' - AKASH (Sky), PRITHVI (Earth) and PATAAL (Underworld) as the Mighty Maha Yogi - 'SHIVA'! 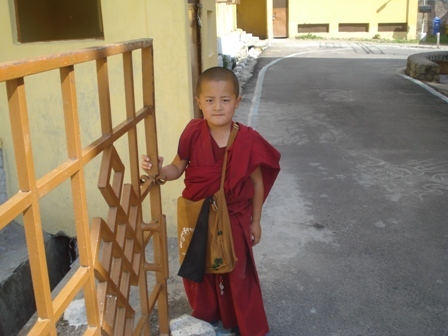 In Dharamsala India, the abode of His Holiness the Dalai Lama, a spiritual Yoga center for healing of the soul, mind exercises are taught as a practice, to achieve a balance between the Mind, Body, Spirit and the Human Heart. A person can make better choices by developing a more focused mind, clarity of vision, and higher self esteem related to 'Human dignity'through this Ancient Art of Higher Wisdom ! 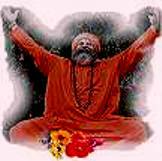 Ancient Rishis and Sadhus following the Path of the Mighty 'Shiva' in the Himalayas, believed all defects in the Human Character and the World could be conquered on the strength of 'The Enlightened Mind'. This sublime state of mind could be attained ONLY through absolute detachment from the desires of the Mortal World by alienating themselves from ALL the worldly attachments of the 'Five Senses' of Human embodiment. 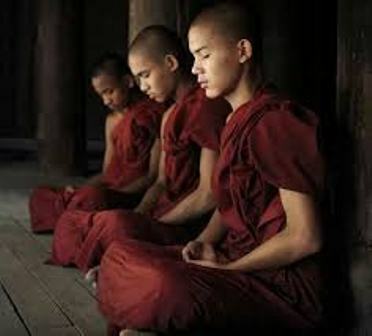 'Anapana Sati'- A common method of cultivating Mental concentration by attentiveness of the inner and outer breath. 'Kammatana' - A method to overcome human desires by usage of certain devices like Earth, Candle Flame as focal point for concentration of the mind. 'Jaap' and Beads - Recitation and Chanting of 'Mantras' using rosary beads for concentration and purifying the Mind. 'Samatha Bhavana' - The development of Mental Tranquility and Bliss through concentration of the Divine. 'Vipassana Bhavana' - The Realisation of Impermanence, Suffering and Non-Self by leading a 'Life of Hard Discipline & Denial'. 'Metta Bhavana' - Universally beneficial form of Discursive meditation like debates, lectures. Discover the Ancient Tibetan Art of Self Realisation !! A path to Buddha's Enlightenment ! 'An Enlightened Mind' is like a 'Lotus Flower' which never loses its pure white sanctity and beauty, inspite of living in the muddy and murky water, all around it. So, is the state of Wisdom which glows in the darkness of Ignorance, all around it. 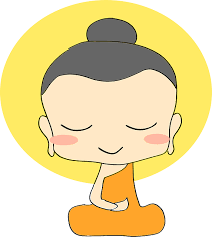 Buddhist meditation, develops a state of Mind whereby, one's 'Good Karma' (Action) connects you to a Divine & Liberated Soul which can rise above all obstacles and achieve, Universal Peace and Harmony, around itself. 'Reiki' is said to have originated from a Tendai Buddhist monk named Mikao Usui who lived in the early 20th century in Japan. The kind of 'enlightenment' he was searching was to provide an experience of the mind being totally in Peace, knowing what to do with your life and being affected by nothing. For this, he began a 21 days Meditation fast called 'The Lotus Repentence', during which he is said to have acquired 'Satori' or Enlightenment. Today the Reiki precepts are a "set of rules to live by !" Zen Buddhism emerged in China in the 06th century CE, originating from the inspirational life and teachings of an Indian Monk named 'Bodhi Dharma'. From China it came to Japan in the 12th century CE. 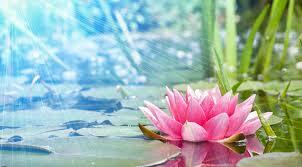 The word 'ZEN, derives itself from the sanskrit word, 'Dhayana' meaning..Meditation. It gives great emphasis on mind control through sitting mind concentration known as 'Za-Zen'. Within Zen Buddhism there is also a tradition of using 'Koans', the objective of which is to break the habitual thought process of the Mind, by realising the true reality of Nature. A 'Koan' is an ambiguous saying for which there is no logical explanation. Perhaps the most famous of these sayings is "What is the sound of one's Hand Clapping ?" There are two prominent school of ZEN - 'Rinzai' and 'Soto' School of Zen Buddhism. 'Rinzai' is based on 'Kaon' while 'Soto' gives emphasis on 'Za-Zen'! 'Energy'...the Food of the Gods ! An Energized Body..a Glow of the Four Elements ! For ages the 'Mind' and the 'Body', have ruled the world in all their achievements. They are at their most powerful peak, when blended together in harmony and balance..in Meditation & Body Energetics !! In the remote, bare-coldness of the Himalayas, in 'Mount Kailash', 'Shiva' conquered the Spiritual, the Mental and the Physical Universe. In Sanskrit, the term 'Yoga' stands for 'Union' with the Divine. A yogi's ultimate aim is to be able to attain this 'Union' by the nourishing of the 'Mind' through deep concentration, and toning of physical exercises of the 'Body' in a sublime state of "Good Health". 'Yoga' is a way of life ! A state of complete equanimity in all circumstances..Good or Bad !! The ancient Sanskrit word 'Veda' means "Knowledge" and 'Rig' means "Praise". This yogic scripture of Brahminism the 'Rig Veda' ,is a collection of Hymns that are in praise of the Higher Power. The other three Vedas are 'Yajur Veda' (Knowledge of Sacrifice), 'Sama Veda (Knowledge of Chants), and 'Atharva Veda' (Knowledge of Medicinal Science ). This Archaic Yoga, emphasized on a ritualistic way of life whereby people communicated with the 'Spirit World' through Sacrifices and Ceremonies. 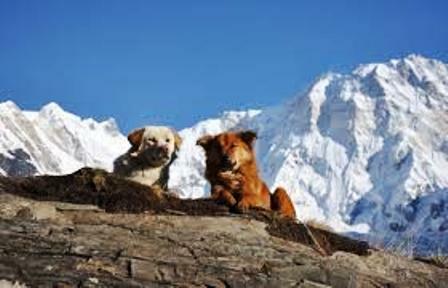 The ancient Rishis & Yogis who had acquired 'Sidhi'(Enlightenment), were the 'Holy Gurus' of the Himalayas..!! Approximately 2,000 years, till the second century the Gnostic texts, called the 'Upanishads', spoke about the Self and Eternal reality of Life . Around 500 BC, 'Bhagavad-Gita', the Yogic scripture was introduced. This was based on 'Good Karma' (Action) and Meditation , reflecting the Victory of Good Intentions without pre-anticipating the result of one's Efforts ! Around the 02nd century , Maha Rishi Patanjali, composed the yoga sutras, which consists of 195 Aphorisms. They expound the 'Raja Yoga' or the Eight-Fold Path . In the 05th century, the renowned Rishi 'Vyasa' translated this sutra into 'Yoga-Bhashya' (Speech on Yoga). Maha Rishi Patanjali, believed that each individual is composed of 'TATVA'-Fusion of the Four Elements - Air, Fire, Water and Earth (Prakriti) and the Human Spirit (Purusha). He advocated through 'Yoga' you could restore the Human Spirit to its 'Sublime Energy' by being in Harmony with the Natural Elements of the Universe. He describes the aim of 'Yoga' as 'Knowledge of the Self' and outlines the Eight Steps or Methods of achieving it. The Eight-Fold Paths are: • 'Yamas' or Eternal Vows. • 'Niyamas' or Observances.• 'Yogasanas' or Yoga Postures. • 'Pranayama' or Breath Control Exercises.• 'Pratyahara' or Withdrawal of the Five Senses.• 'Dharana' or Concentration on an Object, Place or Subject.•'Dhyana'or Continuance of this Concentration-Meditation. •'Samadhi' or the Ultimate Stage of Yoga Meditation. ** The collation of these eight steps is known as Maha Rishi Patanjali's 'Ashtanga Yoga'. All modern 'Yoga' today has its roots in 'The Eight Fold Path'. Based on the teachings of Vedanta, from the Yogic scripture - 'The Upanishads', which emphasizes that there is ultimate unity in everything in the cosmos. 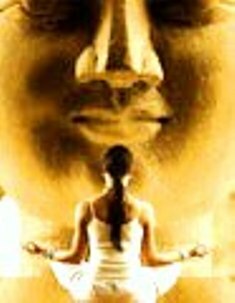 While the earlier Era gave more importance to Meditation, during this period the hidden powers of the Body were also researched by eminent Yogic Scholars. Yoga masters developed advanced Yogic Practices & Asanas that would rejuvenate the 'Body' and the 'Mind' and Enhance the 'Human Spirit' ! This led to 'Hatha Yoga', which consists of "Asanas" or Body Postures, "Pranayama" or Body Techniques leading to Relaxation and Cleansing of the Body. 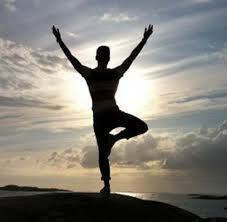 **Along with 'Hatha Yoga', 'Tantra Yoga' also developed in this period. 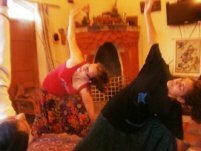 Tantra Yoga is the path of Rituals and Mantras or "The Mystic Syllables"!! Revitalize your Body...with Ancient Art of 'Ayurveda' in Dharamsala ! AYURVEDA..the Herbal Science of the India Himalayas ! The ancient history of 'Ayurveda' dates back to time unknown. In search of Meditation and Spirituality , 'Holy Sages' roamed the Himalayas to attain Wisdom & Enlightenment. During this ardous journey, they learnt to tame the needs of the Human Body in extreme climate.. hunger, exhaustion, fear & illness, by gathering 'Medicinal Divine Herbs', which developed into the Science of 'Atharva Veda'! Five thousand years ago in the magnificent Himalayas, one of the greatest sages of India, Srila Vyasadeva wrote down the Vedas for the first time, this included a branch which is called 'Ayurveda': "The science of Life" ('Ayur' means life and 'Veda' means science). The great sage 'Charaka' has given information in Ayurveda about the development of the child within the womb week by week, month by month, limb by limb, from conception to birth, that equals our modern medical texts in accuracy. In this great 'Science of Life' the first step is to ascertain the individual's "Biological Mode" , and than to treat the person accordingly. 'Prakruti', is the The Unique Genetic Code of an Individual which is defined by a system of ancestral genetic analysis and physical examination done almost entirely by observation, to ascertain one's original nature and current body symptoms. The basis for the treatment in Ayurveda is 'Sankhya' (the analytical study of the elements that comprise the universe). Although the modern physicist would delineate well over one hundred elements, 'Sankhya' states there are twenty-four, of which five are the foundation of the gross world: Earth, Water, Fire, Air and Ether known as 'Tatva'! 'Earth' is everything which is solid. 'Water' is everything liquid. 'Air' is everything gaseous. 'Fire' is the Energy transformer of one thing to another and 'Ether' is the field in quantum mechanics upon which everything rests. These five elements (TATVA), when joined in different combinations, make up the three "doshas" or "biological modes" which are the "Prakruti" or nature of an individual and the nature of all things. Based on the Ayurvedic treatments..the Herbal Medicines and Body Massages originating from the 'Himalayas' is the most popular Natural Science for Toning and Rejuvenating the Mind and the Body!! The 'Ayurveda of Healthy Living'..an ART !! The Mind needs to be nourished by Natural Meditation..A Vision and a Rainbow of Thoughts which can inspire you to follow a Dream ! The Body has to be willing, toned with the flowing Energy of the 'The Four Elements - 'TATVA' and in Harmony with the desires of Human Passion..! HEALTHY FOOD leads to a state of well being. It satisfies your hunger, taste and Jest for Living! The secret of understanding the dynamics of good health and food, is in creating a 'balance' between the 'taste' of an individual according to the need of the Body. Therefore, the appropriate tastes with their Natural Elements will correct the imbalance of the Four Elements in one's constitution of the Body if taken correctly. The proof is in the 'tasting' !! *Sweet(Earth and Water) examples: wheat, sugar, milk, rice,dates. *Sour(Earth and Fire) examples: yogurt, lemon, tamarind. *Salty(Water and Fire) examples: sea salt, rock salt, kelp. *Pungent(Fire and Air) examples: onion, radish, ginger, chilly. *Bitter(Air and Ether) examples: dandelion root, rhubarb root, bitter melon. *Astringent (Air and Earth) examples: plantain, pomegranate, apples. A Sacred Vedic Kitchen in Dharamsala India, Vidya Niwas..! Raw foods and juices are magnificent, in that they are cleansing and energizing. Sprouts are especially wonderful because they contain large amounts of enzymes and nourishment which help with digestion and assimilation of nutrients. 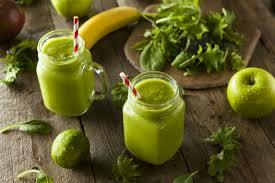 However in the Science of 'Ayurveda' raw food is very cold and hard to digest in the Vedic sense as it gives short-term energy, but not long-term tissue building nourishment which is the main base of 'balanced well-cooked food'. Once you understand your body type, your emotional state, your environmental ambience around you, you can structure a DIET for yourself that will really work, to make you feel good and energetic. An Ancient Vedic belief that the state of mind of the 'cook' reflects itself in the goodness and taste of the food. Every 'Vedic Kitchen' is a sacred Alter of Love, where the Act of offering food is a Gesture of Concern for the well being of those who are served this food. In Ancient India, food was prepared on the principles of taste and elemental energetics and then offered with great devotion to the Deities: 'Lakshmi-Narayana', 'Sita-Rama', 'Radha-Krishna' and others for their blessings. 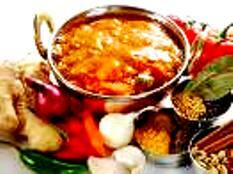 Thus , the Act of cooking, the Place of preparation, the Act of offering, and the Offering place were all 'sacred'. In your Home, when you cook for your 'near and dear ones' you can do the same practise and offer the food with Meditation of Love and Thanks to God Almighty. You will realise, that there is "No better Nourishment, than that which is served with Affection in your Heart!!" 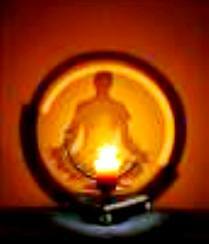 Meditation for the Mind...Spiritual Healing of the Body with Tibetan Energetics !! Tibetan Medicine & Massage in Dharamsala ! Tibetan Medicine, is an assimilation of the Ayurvedic medical tradition which is imported from Buddhism. The historical 'Buddha Sakyamuni', sometimes called the 'Supreme Physician', is said to have taught a Healing System which is based on the view of health as a harmonious balance between the Physical, Mental, Spiritual and Natural realms of Man. The image of the 'Medicine Buddha' in trance, explains the concept of Tibetan Medical Science. Buddha's right hand with palm outwards holding the 'Arura' or the Myrobalan fruit represents all the best medicines. His left hand resting on his lap with the palm upwards is a gesture of 'meditative stability' resulting in the eradication of sickness and suffering. The begging Bowl in this hand represents 'Humble Contentment of the Soul' without which there can be no Inner Peace and Good Health ! A happy human heart is the basis of all universal healing. One of the world's oldest Healing System dating back nearly 4000 years and originating from the Ancient Bon religion of Tibet and evolving over centuries into a Medical Science of Compassion, Health and Healing. Tibetan Medicine known as 'gSowa Rigpa' in Tibetan, is based on an emotional understanding of Human nature, the Human body as energized by the Fusion of the Four Elements - Earth, Fire , Water, Air and Space and above all the Human mind's relationship with it's natural environment. This is a medical tradition that uses Himalayan Herbs & Pills with no side-effects, which are developed by sustainably harvesting resources of the Natural Environment. To keep this Ancient Health tradition of the Himalayas alive, a Medical School was founded in Lhasa, Tibet in 1696 AD. A second School, 'Men-Tsee-Khang' was built in Lhasa in 1916. This was followed by a School in Dharamsala, India in 1961 where Tibetans in Exile could receive training and treatment. Today, the Tibetan Medical & Astrology Institute in Dharamsala houses an independent School, a Museum , a Clinic, an Astrology Department, A Pharmacy and a Hospital. DHARAMSALA ..Meditation of the Mind, Rejuvenation of the Body & Spirit !! An Enlightened 'MIND'and an Energized 'BODY', should be the basis of 'ALL GOOD KARMA', which can lift the 'HUMAN SPIRIT' and 'HEAL THE HEART', with LOVE & COMPASSION. This in totality is the essence of 'GOOD HEALTH'! There is no better place to experience this 'Personal Growth' than in the Abode of His Holiness, The Dalai Lama in Dharamsala, India HIMALAYAS !! * Dharamsala Tours & Travels organizes special Yoga/Meditation/Alternative Medicine and Spiritual Retreat Vacations and Courses at Vidya Niwas/Alternate. TRAVELLERS COMMENT ON 'HIMALAYAN HEALING' IN DHARAMSALA..!
" Both our Guest rooms at 'Vidya Niwas' were immaculate, the food absolutely superb and our Hosts were incredible in every way. The TREATMENTS at the SPA were very good. Thank you for all the courtesies. We will miss you. "..Isobella & Kevin Tinline, South Africa. March 2007. 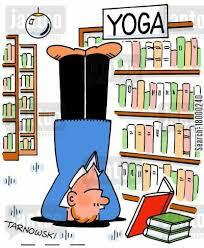 Under the wisdom of yogic skill . Teacher Training courses ! Massage Courses ! Buddhist Teachings ! Contact Us ! Seven days yoga course with healing and spiritual teachings ! Vedic Kitchen cooking classes ! The Festival of Spring and Saraswati..of MindFulness and Manjushree must enjoy Buddha at it's Best ! 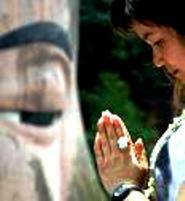 Contact us for 7nts/ 8Days Healing Buddha and Meditation Programs ! Auspicious Green and White Tara Meditation ! Buddha Blessings and Mantra Chants ! Meditation and Healing of the Mind & Body.. go to Dalai Lama-Dharma-Dharamsala ! Living Words of Wisdom , here to help you create a happier, healthier, body, mind, and spirit. Create your best life now, through positive affirmations, healing, yoga, and learning to discover spirituality in everyday life. Vidya Hour at Vidya Niwas..! On the way to Bodistava life...! On the way to Meditation of Buddha..! Yoga/Meditation Programs at Vidya Niwas..Contact us, Click Graphic ! 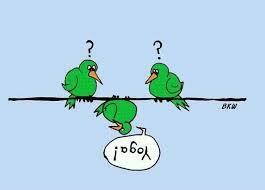 Yoga teaches us the art of humour in happiness ! Contact us...for a holiday with special retreat plans and laughter lessons !